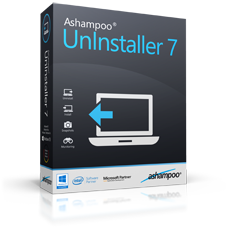 Ashampoo UnInstaller 7 uygulma yükleme ve kaldırma işlemlerini kolaylaştıran bir programdır. isini iyi yapan güzel programlardan biridir! Tesekkürler. 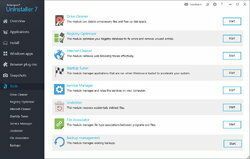 Ashampoo apps are usually good and this one is no exception but there are plenty of free alternatives. Ashampoo will nag you to upgrade to the latest version although this can be turned off in the app. On balance, a good app and worth getting. 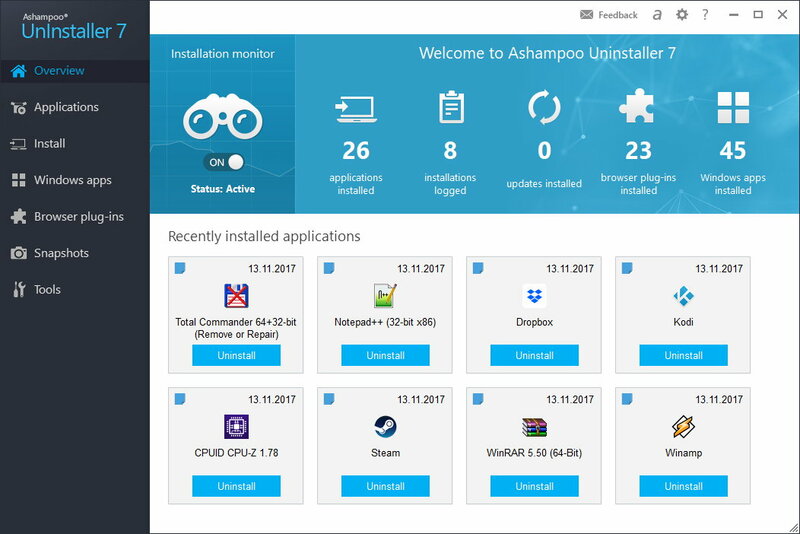 Ashampoo apps are usually good and this one is no exception but there are plenty of free alternatives. Ashampoo will nag you to upgrade to the latest version although this can be turned off in the app. On balance, a good app and worth getting. Tony, I use Revo Uninstaller Free version. It installed ok on w10 v1809 and registered. I gave it a few uninstalls to do. It completed a simple one then hung on a more complex one, Free Studio. I had to End Task to exit the program. It had deleted the uninstaller so I had to use another program to finish the job! It installed ok on w10 v1809 and registered. I gave it a few uninstalls to do. It completed a simple one then hung on a more complex one, Free Studio. I had to End Task to exit the program. It had deleted the uninstaller so I had to use another program to finish the job! Not impressed. Installed easily. Win 7. No problems. Seem to work well. Is this a 6 month license? 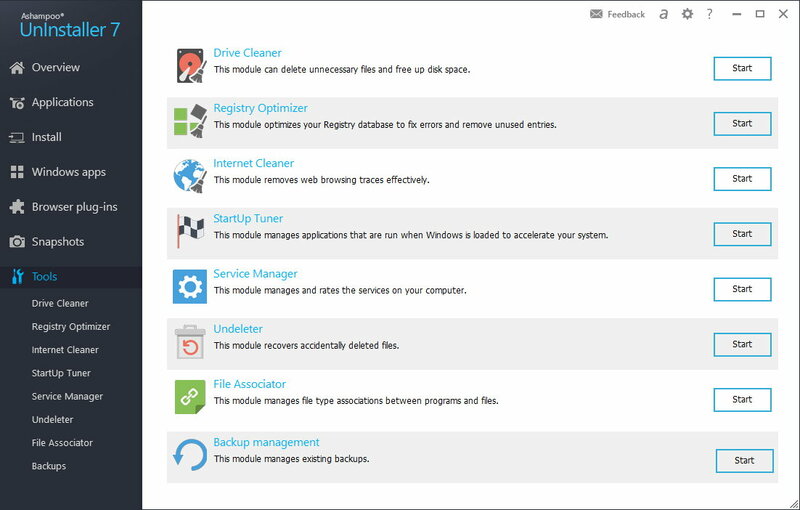 Can this be installed over the top of Uninstaller 6 ? 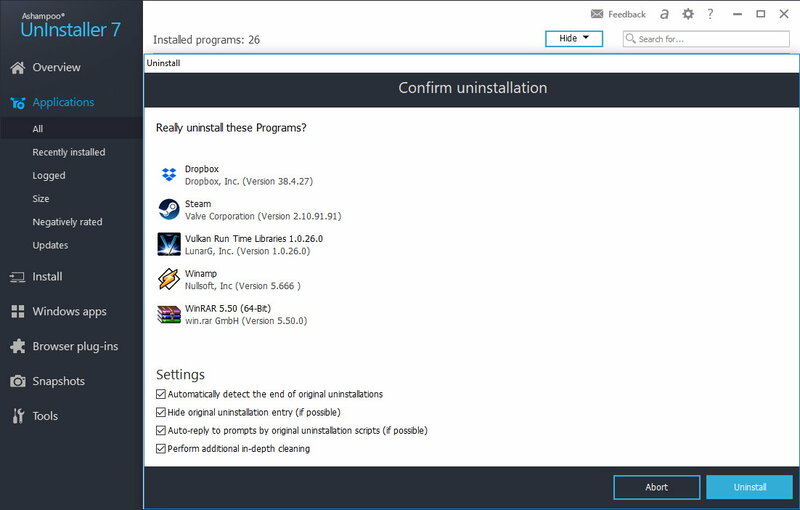 Rod, Uninstaller7 installs in a separate director so you can actually keep any older versions.